Korean American Hapa foodie, I die! 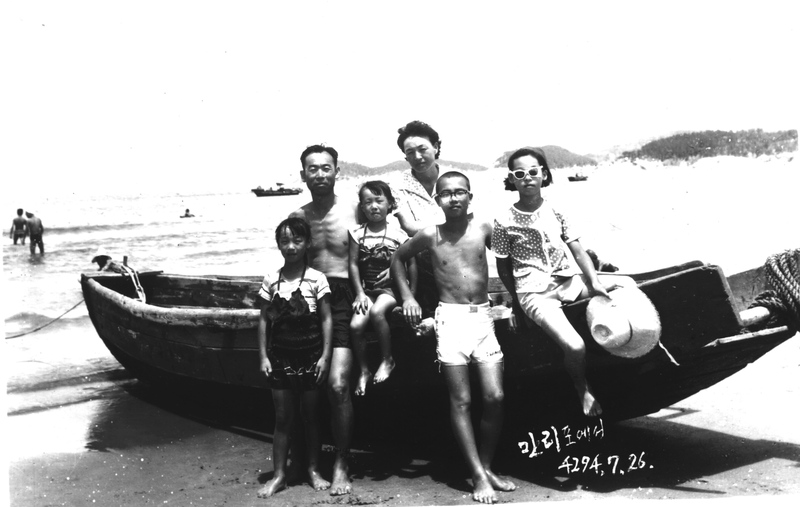 The Kim Family on their annual seaside vacation somewhere beyond Seoul, circa 1960s. My mom is the one in the funky cat-eye shades! Props to KoreAm magazine’s recent article on “The Kimchee Chronicles,” a show on the wonders of Korean cuisine hosted by Hapa Korean American adoptee Marja Vongerichten. Not only is Marja a stunning former model and actress, but she happens to be married to the famed Jean-Georges, global chef extraordinaire. But what really gets my wheels turning is her apparent love for Korean food — the connection it brings to her culture of origin and her desire to share this love with the world. Marja and I are the same age, which I like to think means something … Even though our experiences are worlds apart: I grew up with my Korean family in close connection and in Florida to boot. But I did spend several years in New York City, and I do know what it’s like to never have relations with part of your family until adulthood. Dining at Jean-Georges' Lagoon restaurant, which hangs over the turquoise waters of a motu. 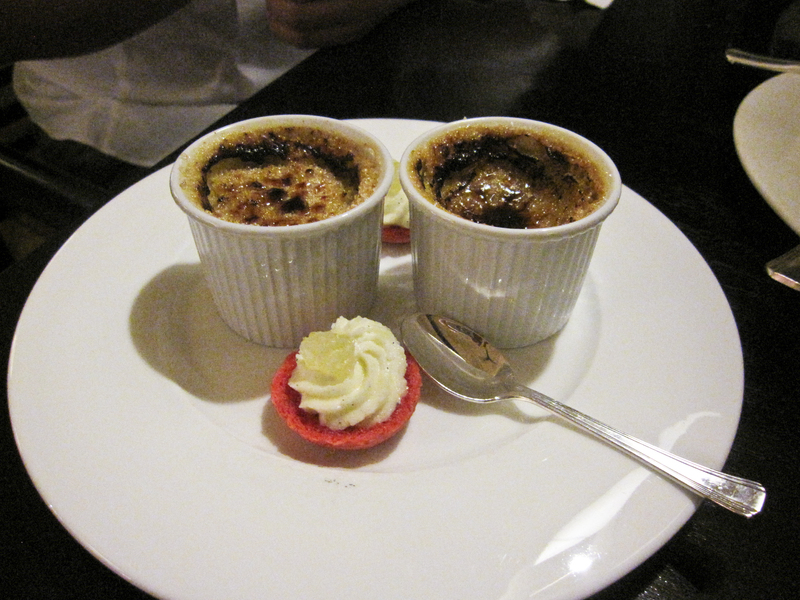 Gratis creme brulee for dessert. 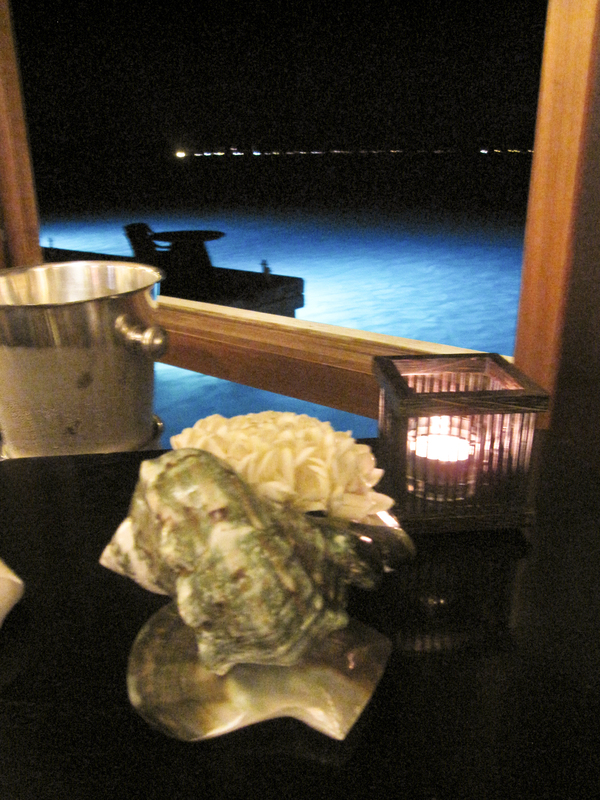 We had a lovely French expat waiter, and it was magical to watch the fishies swim in the lights over the lagoon. You can see a video preview of “The Kimchee Chronicles” on the New York Times Website, at http://video.nytimes.com/video/2010/11/26/dining/1248069100729/preview-the-kimchi-chronicles.html. This entry was posted in Asian American, Food, Hapa, Korean American, Travel and tagged Bora Bora, Canon PowerShot SD880 IS, French Polynesia, Hapa Korean, Jean-Georges, Kimchee chronicles, Korean cuisine, Lagoon restaurant, Marja Vongerichten. Lady, just toss the snowball! Last hike in New Zealand at Arthur’s Pass National Park. Did not want to leave!